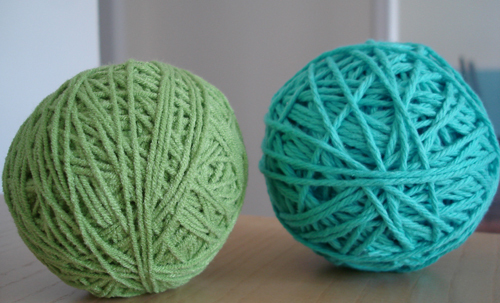 Everyone loved the Rope Balls I made recently but they can be a little tricky to make. 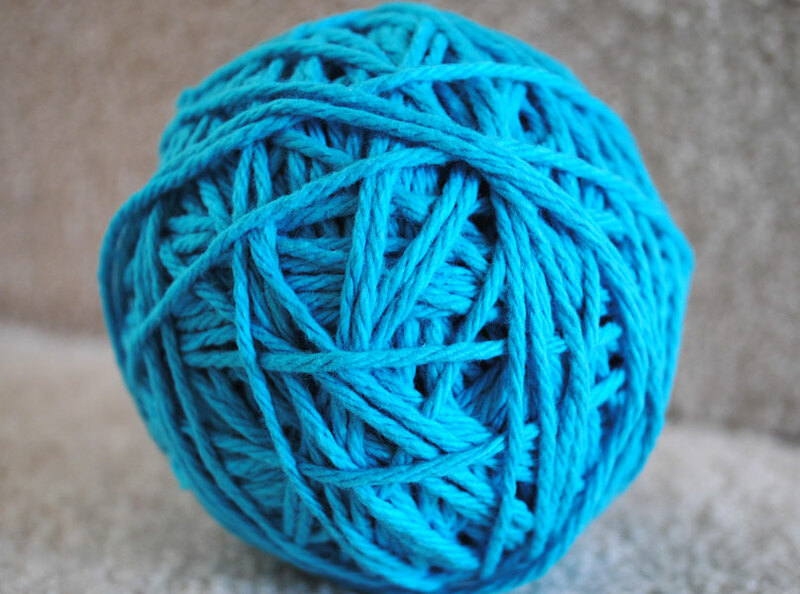 So, for those who got frustrated with rope here is an much easier decorative ball to make, a simple yarn ball. 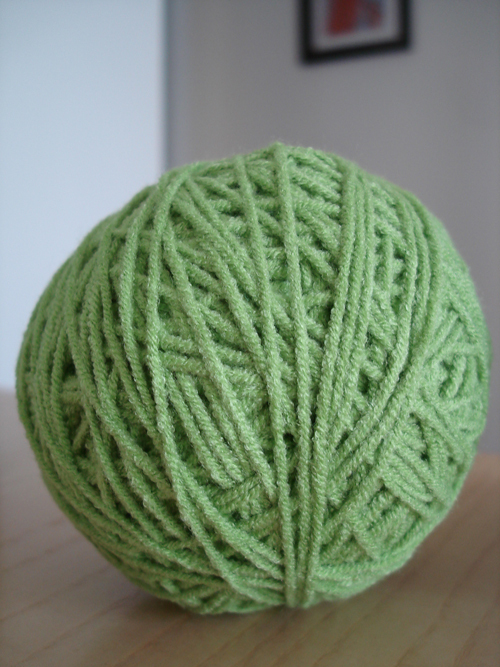 I squished together some newspaper to make a sphere about the size of a tennis ball and simply wrapped the yarn around it. When it was completely covered I just tucked the end in and hey presto a pretty ball. The beauty of these decorative accents is that you can select any color or texture of yarn to compliment your decor and here they are in a contemporary glass vase with those lovely rope balls. This entry was posted in Craft Projects, Decorative Accents, Home Decor, String and tagged decorating, yarn. Bookmark the permalink. These would be fun for a little girl's party with a kitten theme! Love the rope balls. That looks like a monkey knot. I'll have to click over to the other post and check them out! Thanks for sharing! Beautiful! The colors look great together! Love these! I did off white ones on my mantel last year in the wintertime, after the holidays. Great texture! Cool! I thought they were 100% yarn. Love the colors. Funny how a simple idea can become something wonderful! Love the colors and texture! I have some styrofoam balls I'm going to use. Thanks for the inspiration!